Most traditional diets focus on your calorie intake around the clock to ensure that you are burning off more calories than you are consuming – and this makes sense. The less calories you eat, the more weight you will lose. However, there is a new diet taking the dieting world by storm that flies in the face of traditional weight loss methods. The 5:2 diet, also known as the Mosley diet and the intermittent fast diet, it proving to be very successful, despite looking very different normal diet plans. 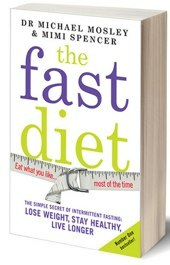 The biggest stumbling block for all dieters is that idea of deprivation. As soon as the initial motivation to lose weight wanes, the cravings creep in and soon the determination to restrict what you eat disappears as the cookies appear. 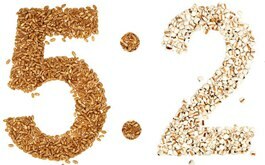 Some diets take this into account and have “days off” factored in to them, however, the 5:2 diet does the very opposite. Rather than dieting hard for 5 days and having 2 off, the 5:2 allows you to eat normally for a full 5 days and have 2 fast days, on which only 500 calories for women and 600 calories for men are allowed. In many ways it seems too good to be true, but the celebrity endorsements and diet forum recommendations are flooding in. Over and above this, there is strong scientific and diet trail evidence to back the claims up. 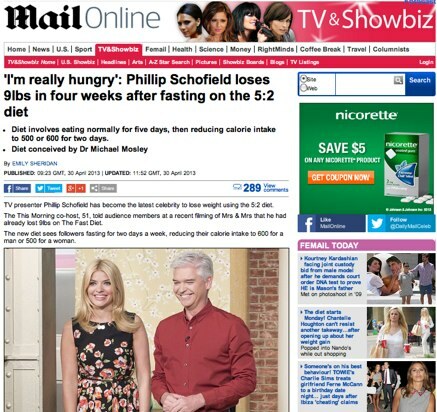 Daytime TV presenter Philip Schofield is just one celebrity who’s weight loss progress was documented live on air over a few weeks – just about as undeniable documentation that can exist. Here are the facts. Michael Mosley who developed the diet and brought into in the public eye in the UK, believes that the diet’s success if down to our evolutionary history. Back when food had to be tracked down and hunted, people would regularly go through periods of feast and famine. When a kill was brought back, they would feast, and when it was finished and the hunger crept back in, the hunters would set off again. In modern times we are so used to having food at our constant disposal that we almost unaccustomed with hunger pangs, which is probably one of the reasons why we find it so hard to be on long term, restrictive diets. They are out of our comfort zone and temptation is all around us. Although sticking to a calorie intake of 500 or 600 calories per day for two days is hard, because it is such a short period it seems more manageable. Many diets warn against starvation because it can cause your body to horde fat when the food is available but Mosley claims that because the fast period is so short and because some calories are available, that the body actually benefits from the restriction. Our guts are constantly bombarded with fat laden, E number containing, difficult to digest meals. This can stop it from working effectively, leading to a sluggish metabolism and inefficient system. However, two days of fasting allows the gut to recover, purge some of the toxins and build up, and enable it to cope better when food is returned. When research began in 1930 into calorie restrictive diets, a surprising discovery was made. Mice that were subjected to fasts actually outlived those that were fed the same amount every day. Although research is still continuing in this area, it is believed that fasting reduces the levels of IGF-1 (insulin-like growth factor 1) in the body, and reduced IGF-1 produces greater longevity. This is believed to be linked to its role with cell repair and division. When the IGF-1 levels are low, cells regenerate faster, which not only leads to a healthy body, but also a more youthful appearance. Insulin is the hormone in the body that controls glucose levels. Many diets talk about keeping glucose levels constant to prevent sudden drops which in turn lead to cravings. Intermittent fasting does interfere with glucose levels but it is thought that it actually makes the body more sensitive to insulin, meaning that it is better equipped to regulate and control glucose levels and prevent food cravings. So the science is there to back up the claims. Research may not be able to give hard and fast reasons why the diet does work so well, but with expected weight loss of 1lb per week and the promise of being able to eat as you like for 5 days of the week, it may well be that the combination of science and increased will power that result in such positive outcomes. 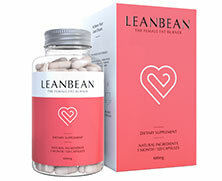 LeanBean is an appetite suppressant and fat burner containing glucomannan that has been introduced to compliment fasting type diets.